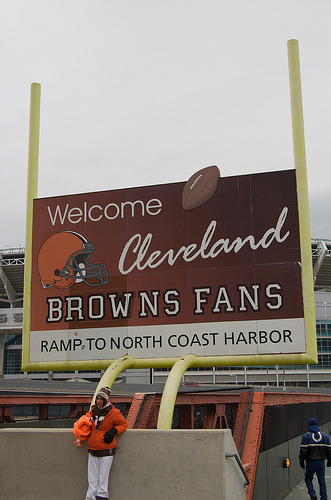 Is Your Football Signage Relevant to Fans on Game Day? Are you looking to drive greater fan awareness towards your signage on game day? Are you looking for unique ways to drive brand messaging? Believe it or not, fans may not care to look at a simple billboard promoting lawn care service on their way into a stadium. Yet if that same billboard messaging was wrapped in a field goal post or placed on a large, giant football outside the stadium, it amazingly may become relevant. It's interesting what you can do with imagery to drive your product/service messaging.